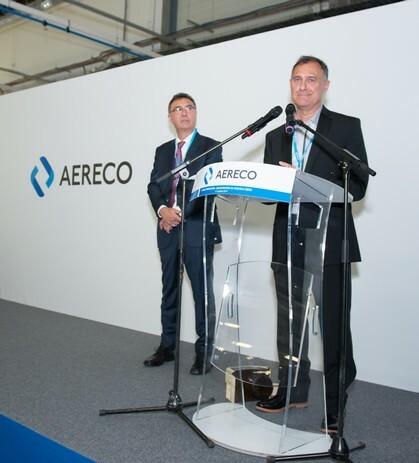 The inaugural speech was opened by Marc Jardinier, the Aereco CEO, who thanked all the present guests, customers, suppliers, subsidiaries, financial partners, regional development actors, officials, and employees of the company. All of them have contributed to the development of the company, through their commitment. Marc Jardinier had a historical overview of the company since its birth in 1984, expressing his pride to watch the development since these last thirty years.